One Friday afternoon, at the end of September, 4 engineers came together to form a group at Hackathon Industry 4.0 in Madrid. 3 of them had never participated in a competition like this, but they were eager to get started. After listening to the two presentations by Ferrovial and Endesa, they were even more interested in the competition (although a bit scared) since they could already see the range of possibilities that an iniciative like this could bring for creative minds like theirs. They thought of a portable 3D printer for the final presentation. It would cost less than 100 € , but the problem were that they would need better receptors, engines, etc. However, after talking to Ennomotive, Ferrovial and Endesa’s innovation experts, they considered it wiser to create something else. 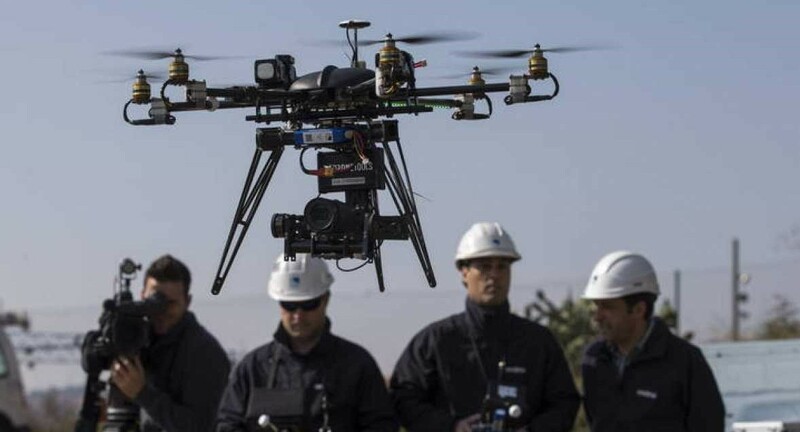 The challenge proposed by Endesa was as open and vague as this: they wished for a project that improved the maintenance of the electricity grid using drones, robots, 3D printing, etc. They quickly shifted towards a new idea that would be faster to create and would make them look better in front of the Endesa judges the day of the final presentation. Endesa monitoring operations for the cables in the electricity grid consists on using a helicopter to descend a worker so that he/she can fix the damaged cable. It is clear how dangerous and costly this is, right? Well, Wire Runner would sort out this situation rather easily and at a much lower cost. Using a drone for monitoring the grid was an option, but there were inconveniences that Wire Runner could avoid completely. Firstly, a drone’s battery lasts for only 20 minutes on average, and you always need an operator to make it fly, which is costly. On top of this, neither a drone nor a helicopter perform safely on bad weather. Wire Runner is a device that, attached to the electricity grid cable, is able to run up and down the line recording with a camera and monitoring if there is any damage. The battery is loaded by inductive loading devices (which happen to part of an Endesa’s ongoing project) and it can work at night and under bad weather conditions. The panel of judges at Ennomotive Hackathon Industry 4.0 decided to award Wire Runner with the 1st prize of the competition on top of the Endesa special prize, which apreciated the simplicity and feasibility of the solution. Do you have any engineering idea worthy of a prize too? Can you help a big company innovate at a reasonable cost?